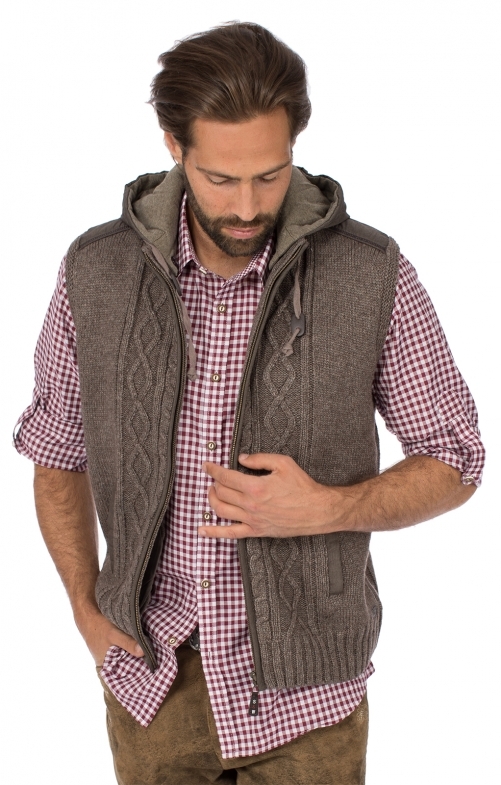 You do not have to be a traditional customs fan to love this sporty knit vest in alpine outdoor style. Colour mottled brown from the Spieth & Wensky costume collection. The mottled brown colour is very easy to combine and fits almost all shirts and pants. The lined and adjustable hood is indispensable as a hoodie vest but of course it can be unbuttoned. With the zip, the traditional vest can be easily opened and closed and the diamond and cable knit at the front and back make it very elastic and therefore dimensionally stable. 2 side pockets with front panel allow to bring down the essentials.